Six channels of wide-ranging, full-bodied tone. 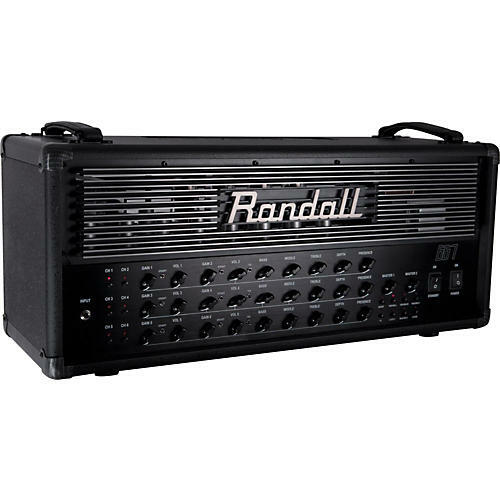 This 120-watt, 6-channel all-tube mega amplifier has six modes per channel, seven MIDI programmable functions per channel, and six gain and volume controls with three-way bright switch for each. Each bank of three EQ sections contain three-way Tone stack shift and separate presence and depth controls. the 667 Amphead has Dual MIDI switchable master volumes, dual MIDI switchable series/parallel loops, and seven MIDI assignable functions for each channel as follows: Channel select, Boost, Low/Medium/High gain voicing, master volume 1/2 select, Loop/Loop2 select and Store. It also has Individual metering and bias controls. Though it has heavy-duty metal front/rear grilles, corners and edging, the dual top handles make lifting it easy.